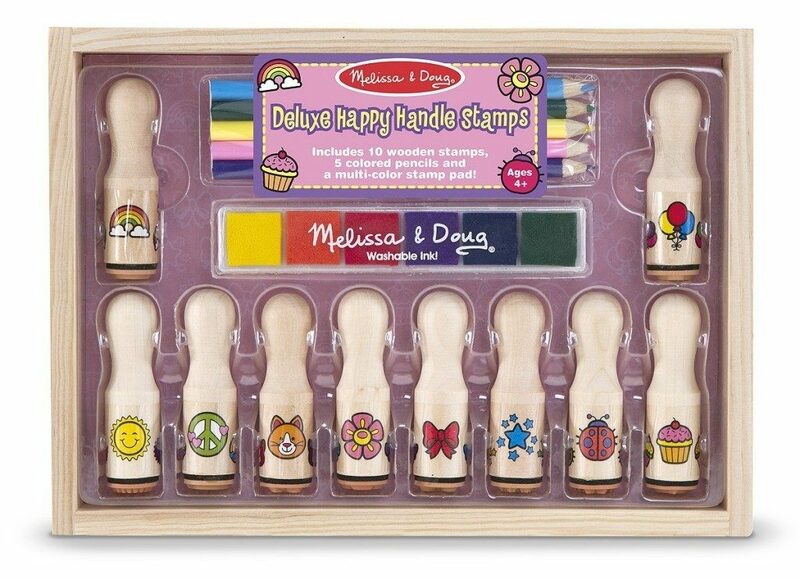 Melissa & Doug Deluxe Happy Handle Stamp Set Only $6.77! You are here: Home / Great Deals / Amazon Deals / Melissa & Doug Deluxe Happy Handle Stamp Set Only $6.77! If you have a kid who loves arts and crafts, we have a great deal on a stamp set for you. Get this Melissa & Doug Deluxe Happy Handle Stamp Set for only $6.77 on Amazon (reg. $14.99). Super Saver Shipping will be FREE with an order of $35 or more or get FREE 2-day shipping with Amazon Prime.